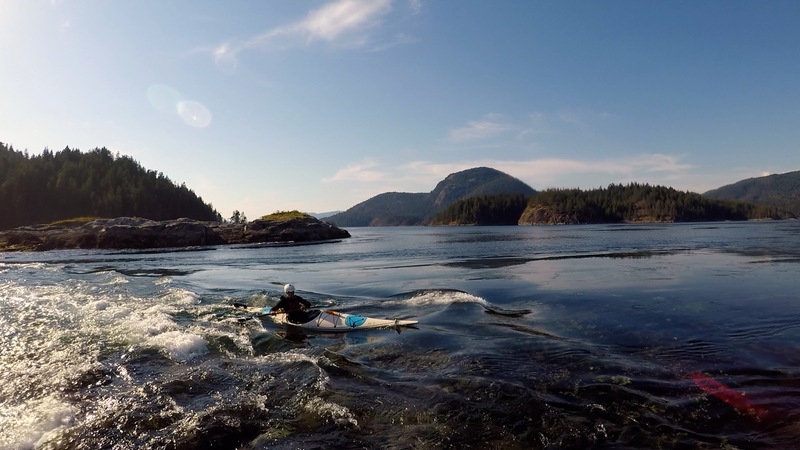 As far as sea kayaking goes, it's hard to find a better destination than Vancouver Island. Postcard scenery in all directions, regular wildlife interactions and a well managed guiding industry combine to create a perfect environment to explore by sea kayak. A large tidal exchange (up to 5 m range) forces deep water to upwell and creates strong tidal currents, delivering oxygen and nutrient rich waters to the surface. This kick starts the food chain and drives a highly productive marine ecosystem, including everything from the humble bull kelp, the weird and wonderful alien-like intertidal lifeforms, and of course the large marine mammals that draw people from all over the world to come and view. With islands and islets covered in majestic temperate rain forest and a backdrop of snow covered peaks, there is certainly no shortage of landscape eye-candy wherever you happen to look. This is my second summer guiding for Spirit of the West Adventures, based out of the small island community of Quadra Island. I was lucky to stumble upon such a great company last season, and returning to Quadra for another season was a no-brainer. 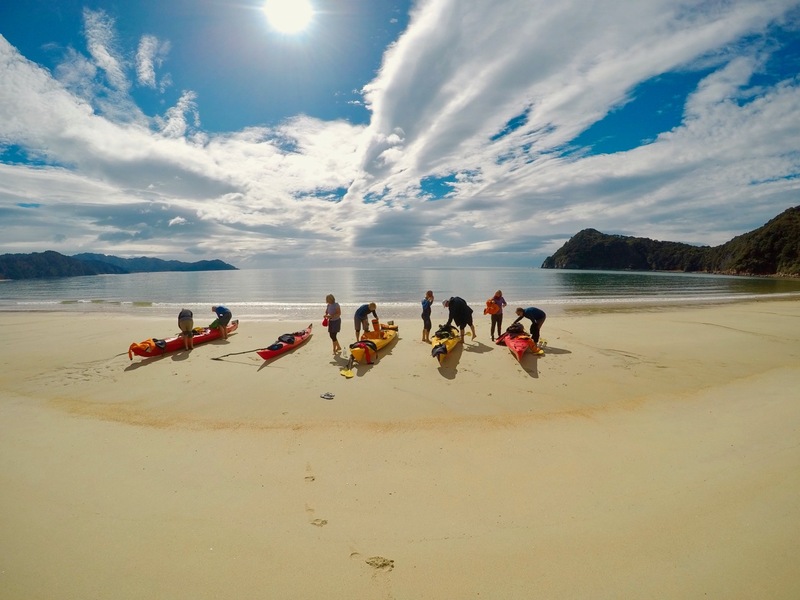 Spirit of the West runs multi-day sea kayak adventures with a range of expedition and base-camp style trips. This company is full of amazing guides and the whole team operates as a very slick unit. The owners, Rick and Breane are both avid sea kayakers with a passion for conservation, and this really shines through in the way Spirit of the West operates. If you ever get the chance to spend some time on Vancouver Island in the summer I'd highly recommend checking these guys out https://www.kayakingtours.com. Living on Quadra Island is a blast. This is a super tightly knit community with a very laid back island vibe and a huge amount of recreation potential. The northern end of the island contains tidal races (Surge Narrows and Okisollo Channel) which create some awesome standing waves, perfect for sea kayak surfing. The island also has opportunities for rock climbing, mountain biking, walking tracks, swimming in picturesque lakes and of course 'socialising' at the local bar - the Heriot Bay Inn. We co-exist on the island with a healthy population of wolves in the south and cougars in the north, both of which seem to be well fed by the local deer population as encounters with humans seem rare. Did I mention I can watch humpback whales surfacing from the window of my house? I sat an exam with the Sea Kayak Guides Alliance of British Columbia (SKGABC) in early June to upgrade my certification and learn some new skills. This was a great opportunity to see how the guiding qualification system compares to New Zealand. In short, it's pretty similar. I though the guides alliance ran a great examination with a comprehensive syllabus suited to the environment guides would be exposed to in coastal British Columbia. I sat the level two guides exam, which had a similar syllabus to my New Zealand qualification (NZOIA sea kayak 1). One of the main differences between this exam and the exam I took back home was that SKGABC incorporate lots of scenarios to assess a guides abilities to react to and sort out challenging guiding situations. This created lots of great learning opportunities and chances to practise skills in some worst case scenarios, many of which I hope I don't have to do in real life any time soon! They also focus heavily on hypothermia prevention and treatment (good idea seeing as the water is 9-11 degrees C! ), and have a strong focus on first aid in a remote wilderness setting. I have about 10 weeks remaining in this guiding season before making my way home to the golden sand beaches of the Abel Tasman National Park. It is a short and sharp guiding season over here. By the end of August the days will be short, the fog will be persistent and the winter rains will be on their way. I'll be sure to make the most of my time over here and can't recommend it highly enough if you ever get a chance to visit. Check out our tours here, or book a tour here.